The young growth as bud burst occurs is an intense red. The foliage is divided and this enhances the visual appeal of the emerging new growth. A large tree with an open, wide canopy of deciduous habit, native to SW China. 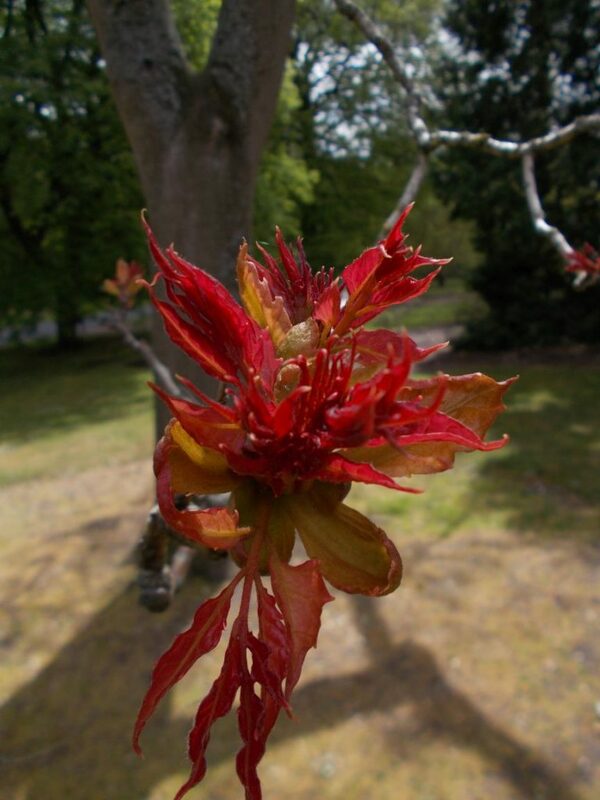 As the buds unfurl the large pinnate leaves develop losing the red pigments and turn green.